I love Italian food but that’s too generic a term for what’s available now: you have to narrow it down to Tuscan, Sicilian, and so on. 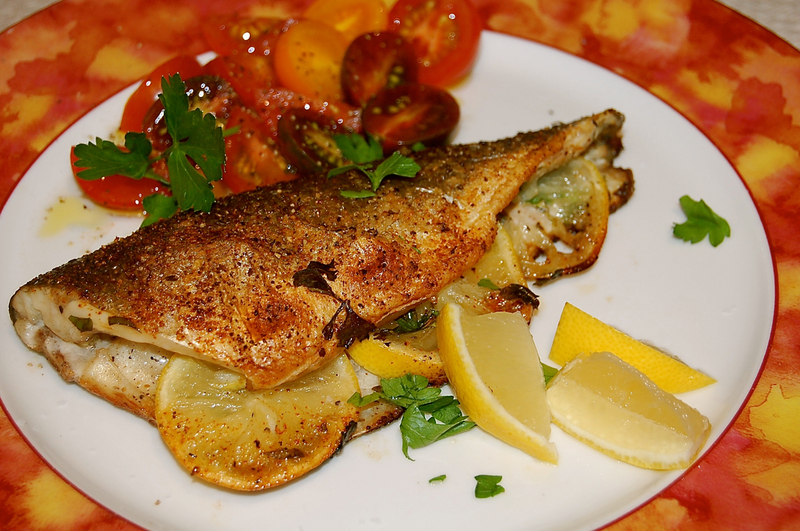 I have never found Bronzino in our area until we stopped at Whole Foods and I came home with 1 fish, just enough for me on a busy party prep day. I don’t intend to grill in the dark and it takes longer to start the grill than to cook 1 small fish so I asked around and got one response that will work since my oven has been used several times and is still hot from the last party prep step. I encountered a few tiny bones, but if you are not gobbling down big bites, not a problem all in all the fish guy at WF did a fabulous job cleaning and prepping the fish for me since I didn’t want to mess with it at all after a long drive and day. Thinking that Michael would be home for dinner I chose a whole fish, but in the end, it was just enough for me! Much like heating a pizza stone, take a grill pan and heat in a very hot 500º oven a good 15 minutes, turn up to low broil to sear the fish when ready. 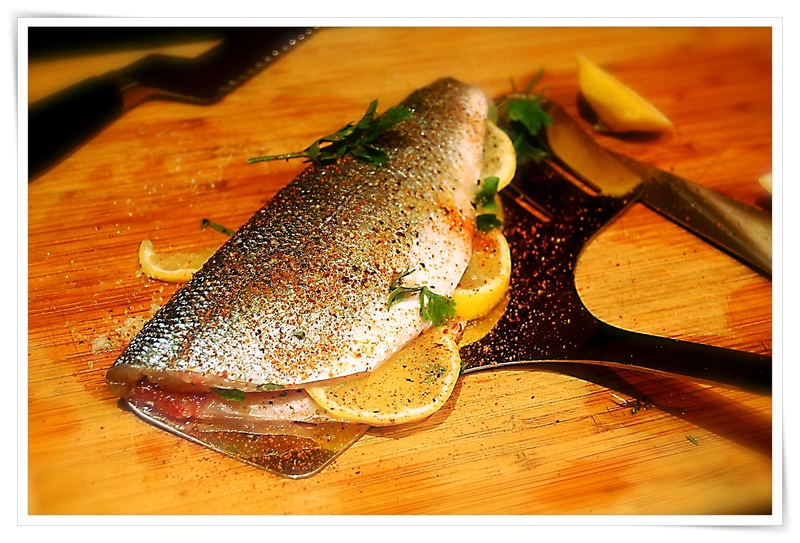 Get the pan screaming hot and season your fish while heating the pan. For my single buttery, seriously delicious fish, stuff the inside with a few fresh thyme leaves, pinches of fragrant marjoram or oregano leaves, salt, pepper, thin slices of lemon and drizzle with a good EVOO (thanks again Nicole & Mike). Drizzle a bit of EVOO over the screaming hot grill pan gently lay the fish into the pan, close the door and broil for 5 minutes for a small fish (watch carefully). Garnish with chopped fresh parsley, serve fish with lemon wedges and a simple side of heirloom tomatoes simply dressed with EVOO, salt and pepper and a pinch of fresh torn basil leaves. *I think I need that billion dollar idea, a smoke alarm that shuts of when I yell I’m just cooking.